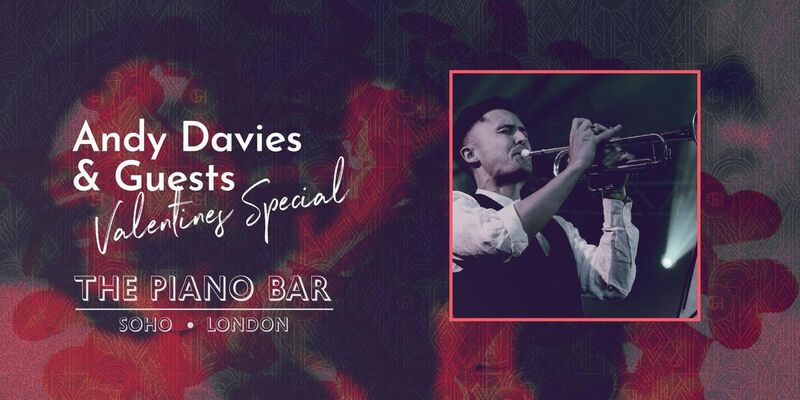 This Valentines Thursday (14th) the Piano Bar Soho is providing couples with guaranteed couple seating, spectacular live jazz music and accompanied with a mini box of chocolate truffles. Spectacular live music will be provided by Andy Davies and his guests. Your seats are guaranteed for your seating time (between 17:30-20:00 or 20:00 - 22:30) after your seating time you are welcome to stay in the bar, but we may require your seats back for other reserved guests. Our limited amount of VIP tickets are for our best couples tables in the bar, with the best view of our music. Welsh-born Andy Davies has made a name for himself as London’s king of bebop. 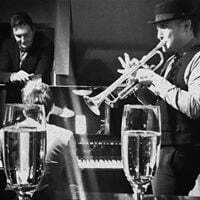 As well as being one of the capital’s most acclaimed jazz trumpeters, he is compère and resident trumpeter for Ronnie Scott’s Wednesday jam. "Andy Davies has a lovely trumpet sound, and in the totally acoustic setting of a small club, it blossoms.” The Observer.